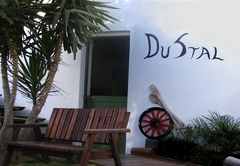 Da Rooms is a B&B with self catering option, providing accommodation in Worcester for tourists visiting the Breede River Valley region. 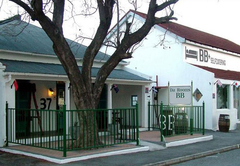 Da Rooms is situated in Worcester’s historical Church Street surrounded by beautiful mountains within walking distance of shops and restaurants. 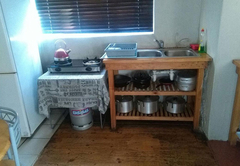 Very neat and tidy place that is ideal for family’s and groups or a single traveller or businessman, that does not want to spend a lot of money, this is the ideal place to overnight in the middle of the Western Cape no matter which direction you are travelling. Choose from five deluxe rooms or self-catering units. Five bedroom house. 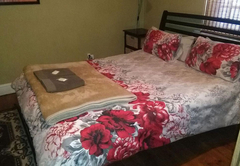 Four rooms with Queen size beds. One room two single beds. 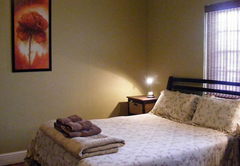 The rooms have a TV, air conditioner or fans, bath or shower facilities. Free small continental breakfast. 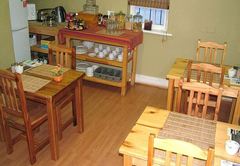 Five bedroom house with self-catering kitchen. 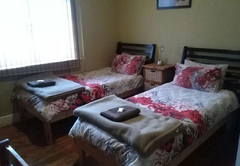 One room double bed. Four rooms two single beds in each room. All rooms with showers. This unit offers four bedrooms. 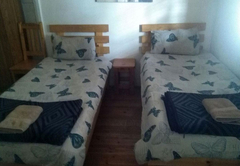 One room double bed. Three rooms with two single beds in each rooms. Sharing facilities. Sharing kitchen area. 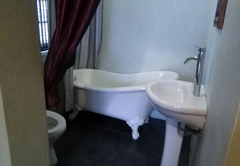 Three bedroom (six person) one room en-suite, plus extra outdoor shower and toilet plus kitchen. Two single beds in each rooms. 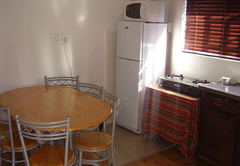 Two bedroom (six person) kitchen plus indoor braai. Six single beds. Family style one room sleeps four. Four single beds. Plus kitchen. Sleeps three persons. Three single beds. Sleeps four persons. Four single beds. 5 Bedroom house. 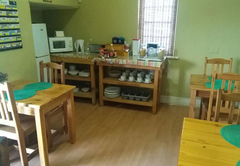 The rooms have a tv,airconditioner or fans,bath or shower facilities. Free small continental breakfast. 5 Bedroom house. The rooms have a tv. Shower facilities. 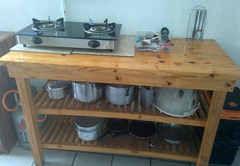 Sharing kitchen with 2 plate stove, fridge, microwave,kettle and toaster. 3- Bedroom house. 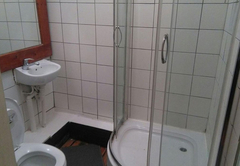 One room en suite, plus extra outdoor shower and toilet + kitchen. This was the worst nightmare ever and I feel what you see is definitely NOT what you get. Firstly, it was a challenge to get in. Doors were locked. We had to call to get attention. The room was a shock! The room was pitch-dark. The window couldn't open and was darkened. There was a thin prefab to split the room from the bathroom. It was an old bath with a shower overhead. Poor view on tv. Then, worst of all, the bed. We were welcomed with the dirtiest bedding ever. The duvet was full of lumps and was only pieces of material at times. We also saw cocroaches. After reconsidering what we had seen, we decided to look for other accommodation since Da Rooms was not a place a human should stay at. We packed our bags back in the vehicle and discussed everything with the same lady who took us to the room. I took her to the room and demanded answers on the bedding. She abruptly replied that the ladies were supposed to clean the room earlier the day and she thought they had put on clean bedding. Upon seeing the lumpy thin duvet and hearing about the crawling insects she simply shook her head and said that she didn't know what to say. We were then refunded and looked for alternative accommodation 2 days prior to Christmas. I later went onto Da Rooms' website and sent them a message to inform them about our experience. Till today, I have not had any response. I found this strange since I had just read similar responses from previous travellers who had an unfortunate experience there. The owners' response shocked me. He said people should stop running to the media about little things and rather just discuss it with them on site so they could quickly rectify the problem. Well, I brought everything under their attention before leaving and also sent them a message with no response. I was amazed by this attitude. I do not think Da Rooms should be promoted on SA Venues.com since it guves this wonderful aid a bad name because it is not as it seems to be. What an inconvenience, disappointment and absolute shock 2 days before Christmas!